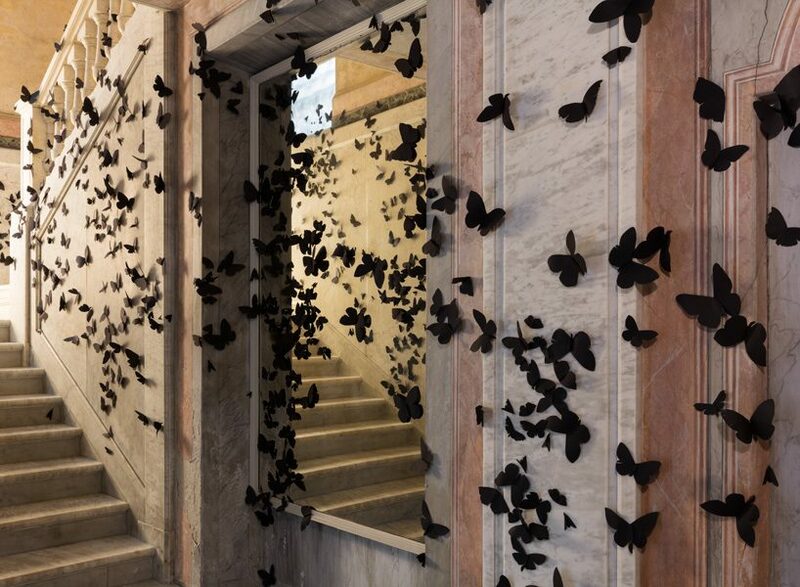 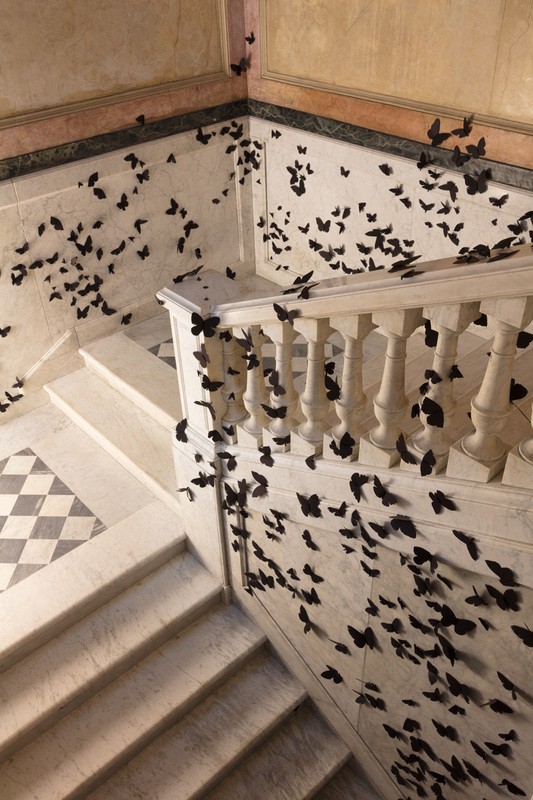 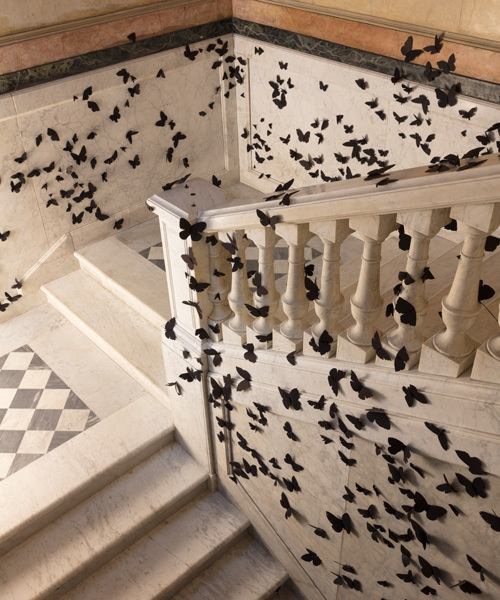 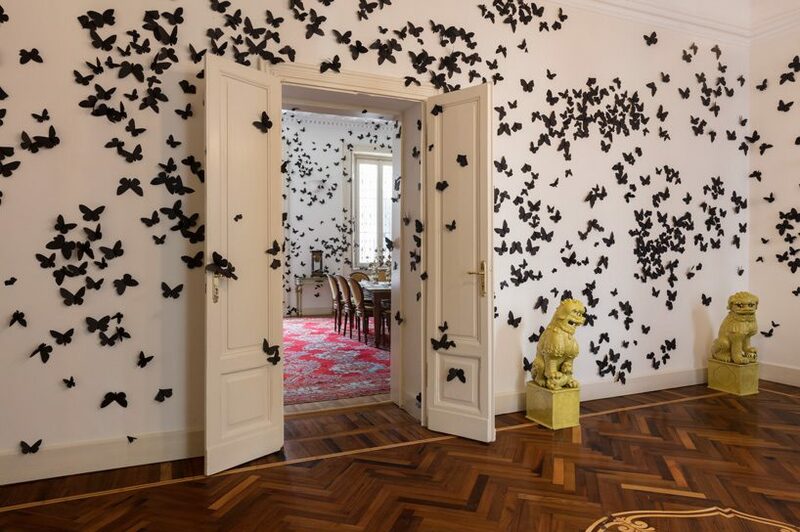 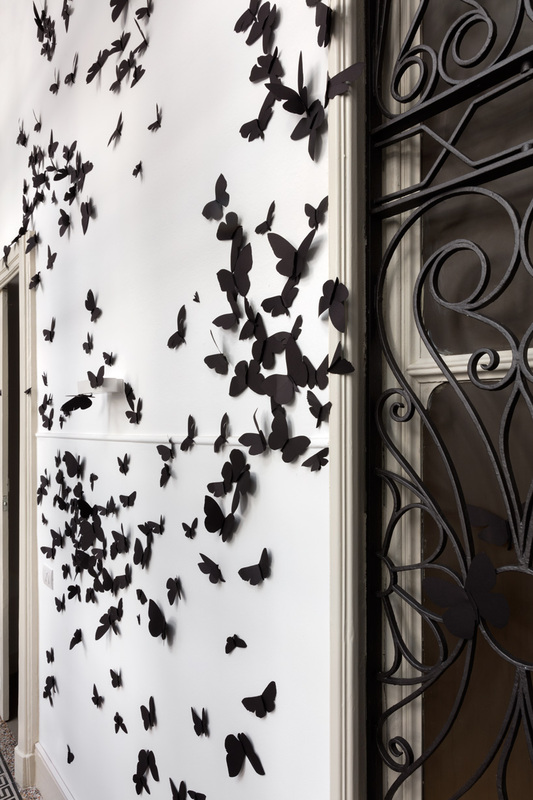 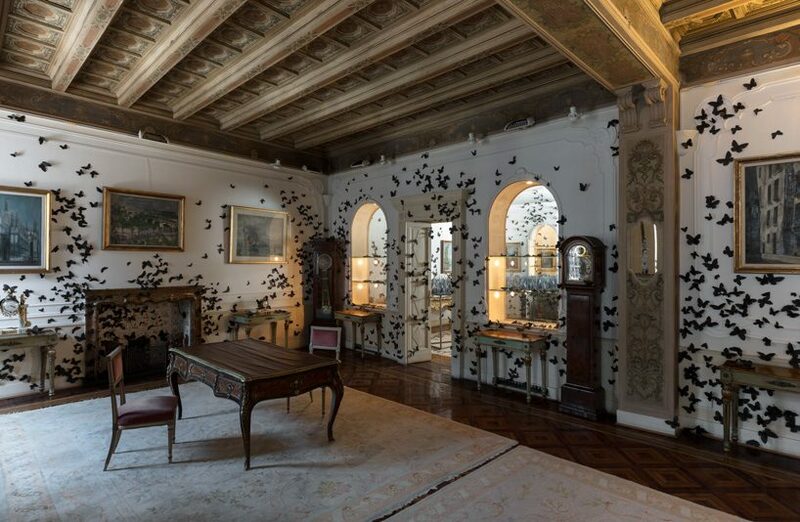 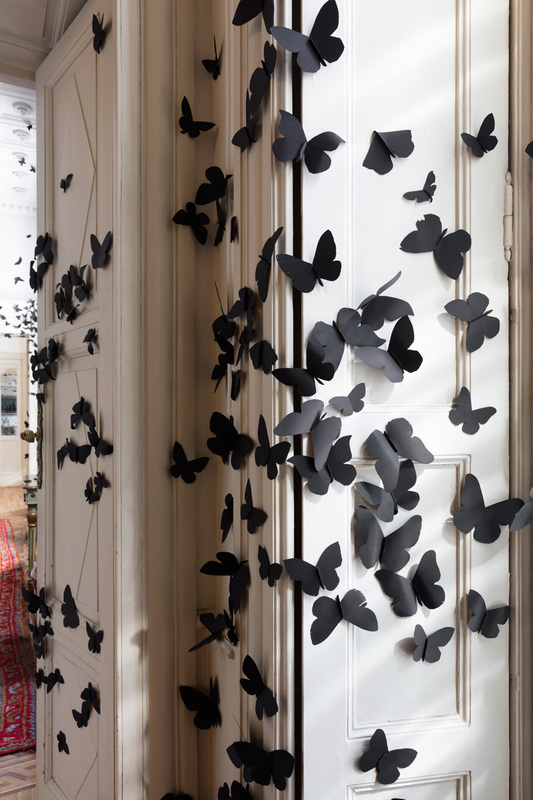 from april 2 to july 8, a swarm of 15,000 butterflies takes over the fondazione adolfo pini in milan, populating its new and already existing spaces, starting from the staircase at the very entrance. 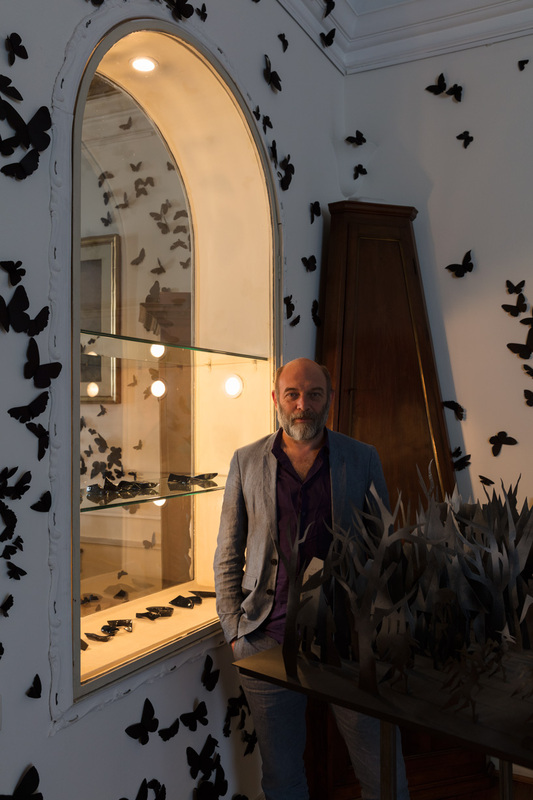 the black paper creatures are part of mexico-based artist carlos amorales’ exhibitιon, the accursed hour, which also includes silhouettes and other works by the artist, in a continuous shift between images and signs. 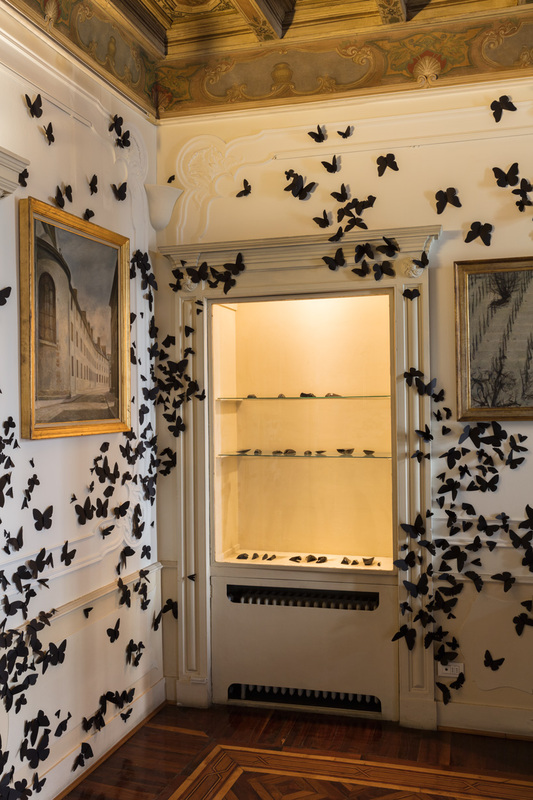 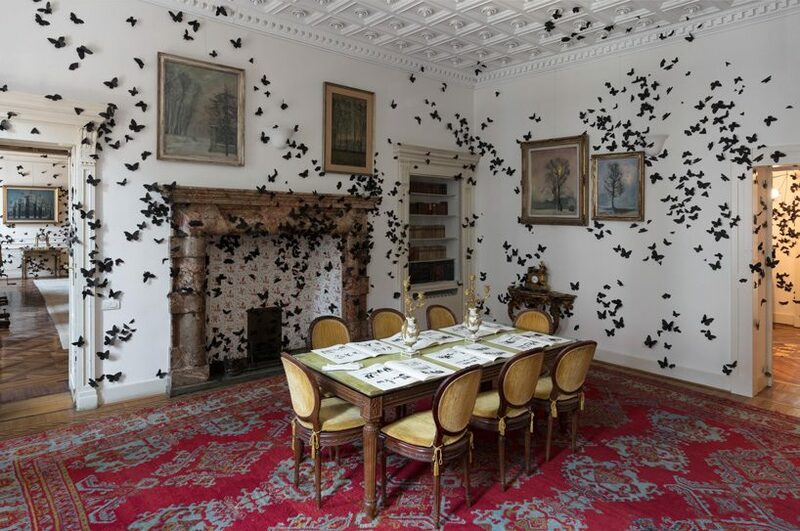 curated by gabi scardi, the exhibition focuses on amorales‘ life-size installation black cloud, which includes the swarm of butterflies, as well as on various elements from the project life in the folds. 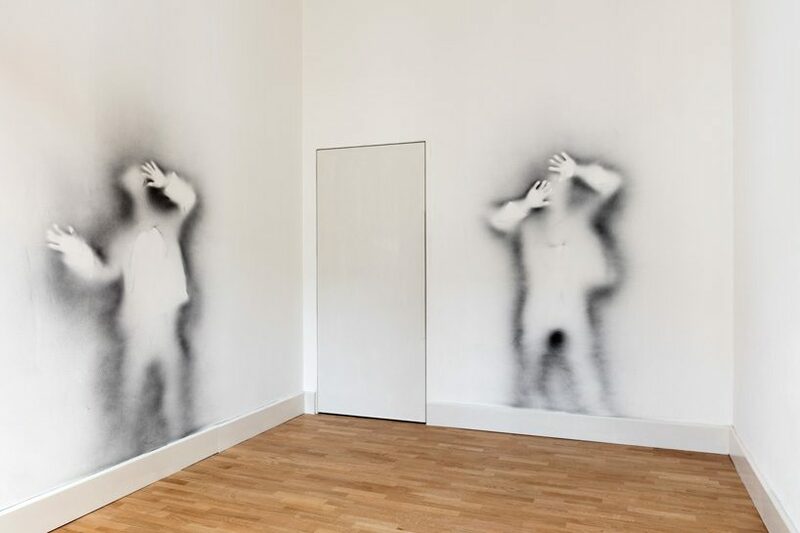 in the latter, the artist reflects on the theme of human violence against other human beings; the kind of violence that lies deep within and that can explode in unjustified ways. 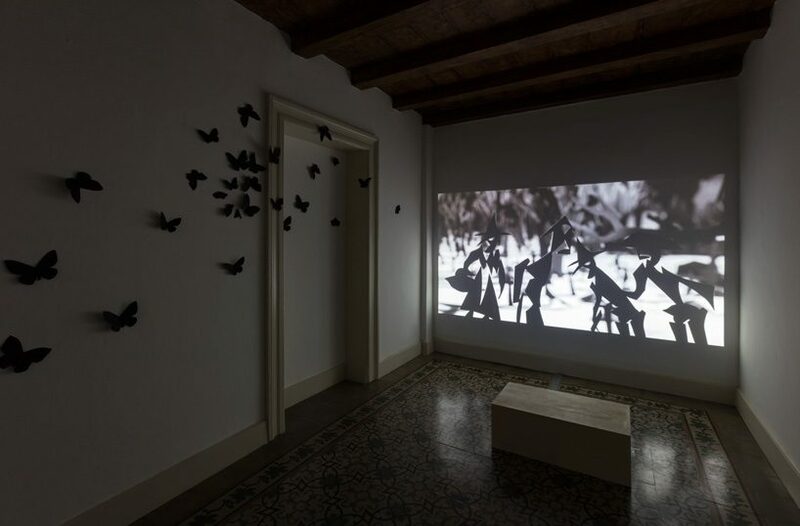 the project also includes an animation video that tells a dramatic story while at the same time showing the hands of a puppeteer moving the characters’ threads: a metaphor of the mystification to which history and our own actions are subjected, both whether we are aware of it or not. 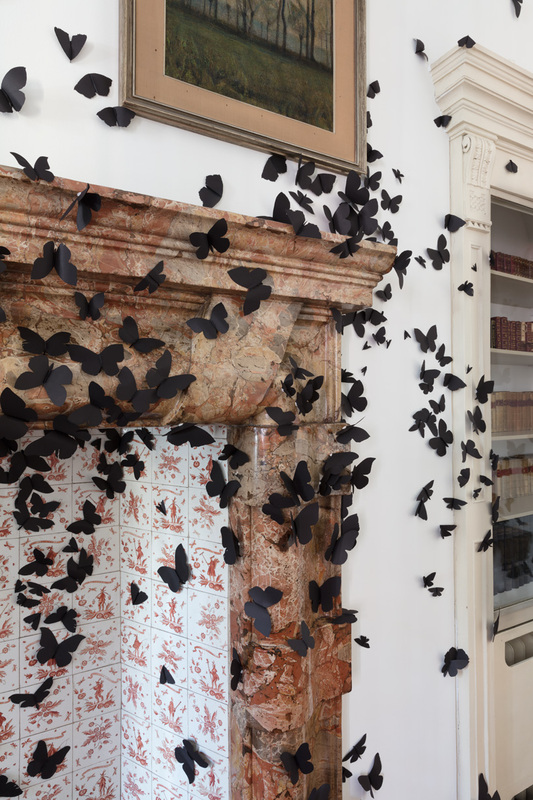 from the two central projects stems a variety of transpositions, including: a large installation and a series of ocarinas, each of which has the shape of a sign and which all together create a coded language that can be both ‘read’ and ‘played’. 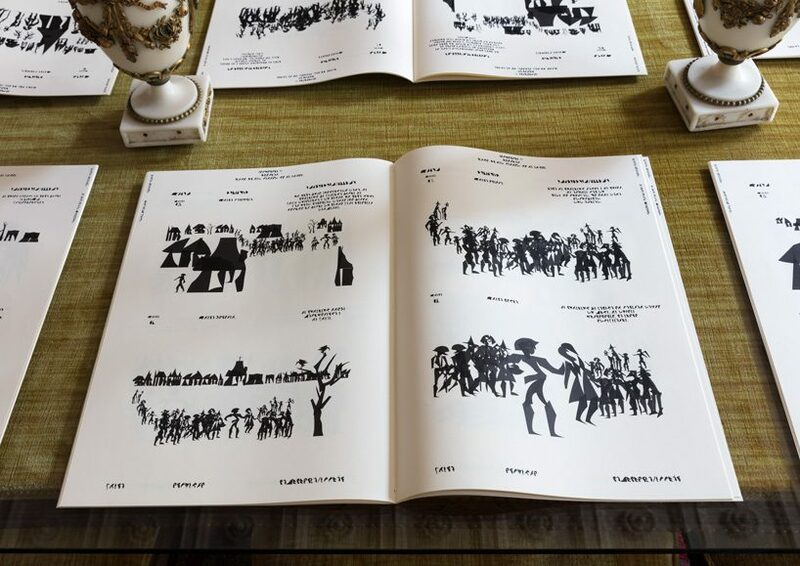 human silhouettes appear on the foundation’s walls as if they went through them, which seem to hold papers in which the salient moments of history are represented. 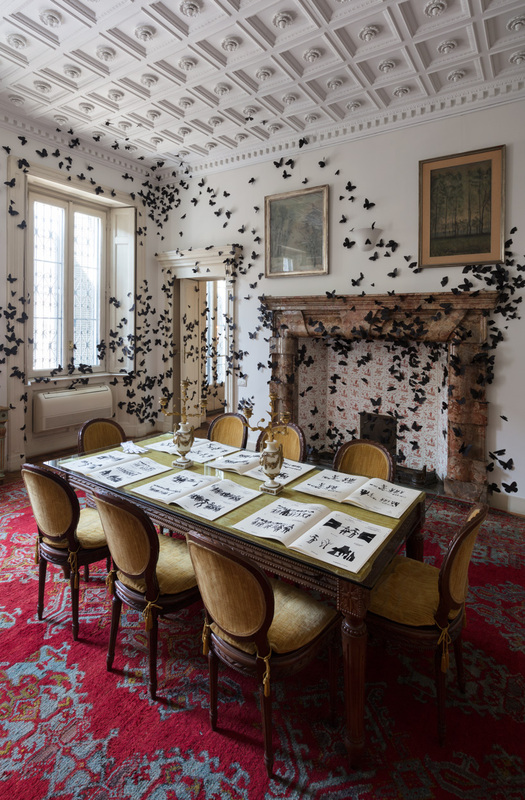 the exhibition also includes the storyboard in which the video’s characters and narrative come to life for the first time. 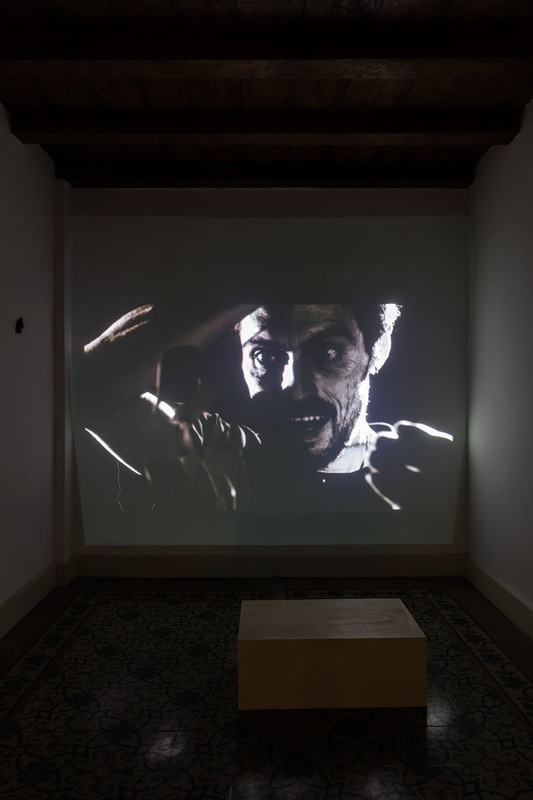 with this exhibition, amorales refers to his country, mexico, while at the same time showing extremely current discrepancies and tensions throughout the world, and the need to identify the origins of our ghosts, to recognize their scope, matrix, and ideological value.